Height: 39 in. Width: 27 in. Depth: 35 in. 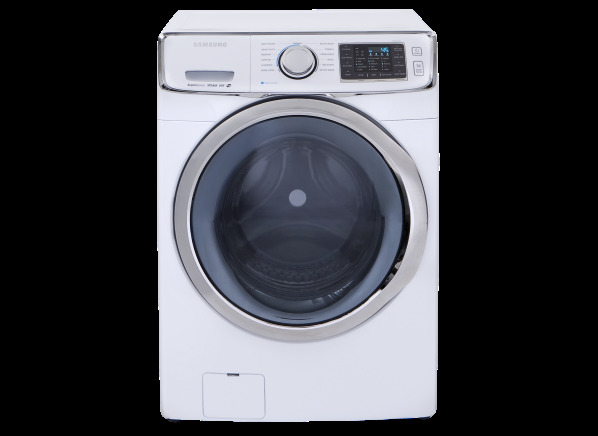 The Samsung WF42H5600AW (Lowe's) is part of the Washing machine test program at Consumer Reports. In our lab tests, Washing machine models like the WF42H5600AW (Lowe's) are rated on multiple criteria, such as those listed below. Owner satisfaction: Owner satisfaction icons are based on the proportion of members who are extremely likely to recommend their washing machine to their friends and family.